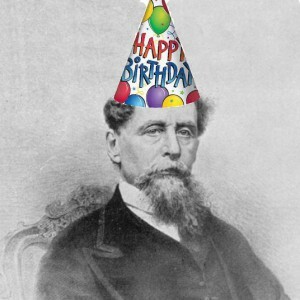 Get yourselves ready for one of the most morbid (therefore, we celebrate it in high style) days of the year… the anniversary of Dickens’ death! Every year we do a Dickens blog around this day, though I prefer to think of it more as a celebration of life blog, rather than as a homage to his death. 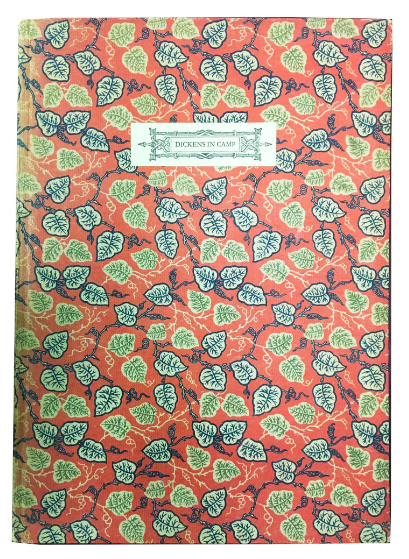 Last year we wrote about Dickens’ last (and unfinished) work, The Mystery of Edwin Drood. This year, with your permission, I would like to focus on one of his very first works – The Pickwick Papers. To be completely honest, the Pickwick story never grabbed my interest as other works by our main man. No Great Expectations love story, no Christmas Carol morality lesson, no Tale of Two Cities history… what about it could be so enthralling? Now, in all fairness and honesty, I did not scramble to read The Pickwick Papers in order to write this blog. 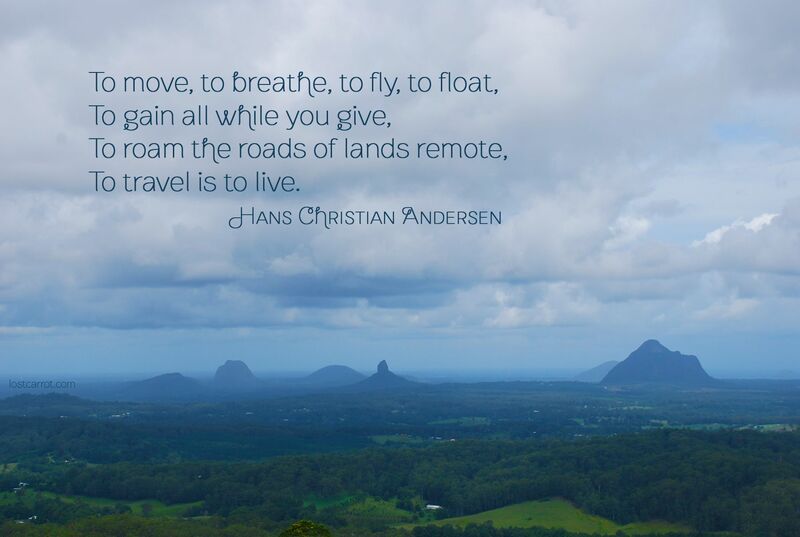 All the information in this blog is found via research. I’ll let you in on a little secret, however… after writing this blog, I just may have to pick it up and begin reading! 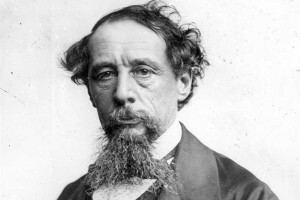 As we’ve stated in blogs past, Dickens didn’t begin his career desperate to become a writer. 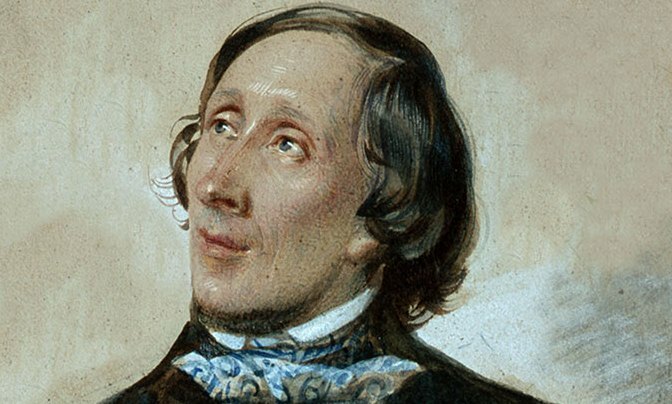 His first passion was to be an actor – and he (most likely, as it seems everything Dickens did he did well) very nearly got his wish – until he became ill before his first audition and was unable to perform. For reasons we may never know, Dickens did not try to book another audition and never attempted to become an actor again. Instead, he settled down as a political journalist in London. 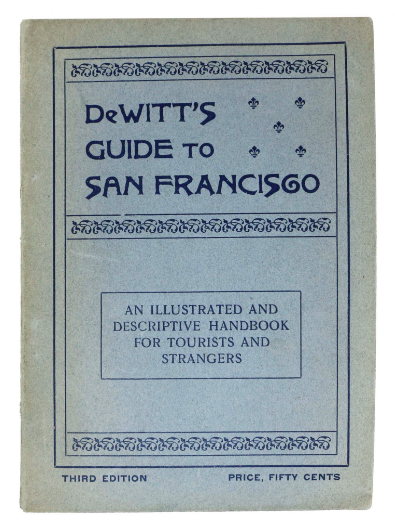 His first published collection of writings was called Sketches by Boz and consisted of various character sketches originally found in his periodicals. Sketches was immediately popular and Dickens rapidly gained success and fame. One of the original illustrations by Seymour. Here’s where the Pickwick story gets interesting. Amusingly enough, Pickwick was not an original idea by Dickens. 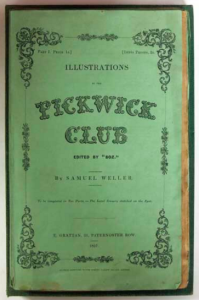 Pickwick actually began when publishers Chapman & Hall asked Dickens to provide text to match illustrations by (somewhat) popular cartoonist Robert Seymour. Even Dickens later admitted that the idea was not his – that it was Seymour’s. However, the presumption that The Pickwick Papers would have amassed the popularity that it did without Dickens – is completely false. [Now, I do hope that this blog does not come across as hating on our main man - not at all! I am not trying to say that Pickwick was not at all his idea, though it was what bought him much in the way of fame and success. (Though, that is, you know, technically true about how it all began.)] 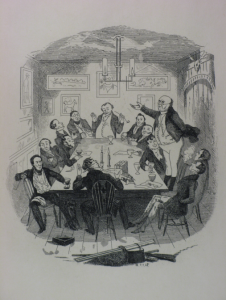 What I do aim to do with this blog is to bring to light a slightly tragic tale that isn’t well-known about the origins of the Pickwick Papers. One of the more difficult scenes Seymour had to illustrate for Pickwick. What is fact and known about the beginnings of the book is that after Chapman & Hall picked up on his idea, Robert Seymour was contracted to make 4 engravings for each written installment of the book (as usual for the time, they were published in installments) and he and the publishers chose Dickens to write the book alongside the illustrations. However, before the second episode could be completed, Seymour committed suicide in his home in Islington, following severe stress and a mental breakdown. The mental breakdown could, possibly, have had something to do with the very little monetary advance Seymour was paid for the Pickwick installments, and also with his struggle to illustrate according to Dickens’ text (according to sources at the time, Seymour envisioned a much more light-hearted tale than he ended up illustrating, at the beginning). In any case, Seymour did struggle with depression, and the somewhat ugly truth of the matter is that, after his death, when Dickens teamed up with “Phiz” to illustrate the rest of the text and introduced the Cockney character of Sam Weller, the series became immediately more popular and sold in much higher volume. So what does this all mean? 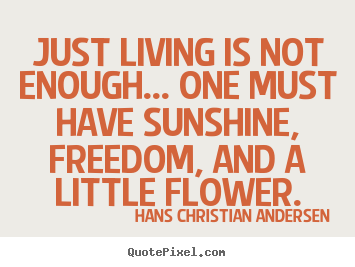 Truthfully, in my (not-so) humble opinion… it means… not much. It is a sad tale, that makes it sound a bit like Seymour got the short end of the stick, yes. However, I think that the fact that the series did not become interesting to readers until Dickens had full control of the text and the full cooperation of the illustrator - is important. We know Dickens was a performer, a writer, a journalist, and a well-known socialite (eventually)… perhaps we should agree that he possibly also knew what the people wanted! And though Pickwick might not have began with Dickens’ imagination, he was, ultimately, the one who truly brought the text to life. So on this anniversary of Dickens’ death, remember the man as he was – someone who immortalized stories, not just wrote them! This entry was posted in Antiquarian Books, Charles Dickens, History, Uncategorized on June 9, 2016 by tavistock_books. Charles Dickens was only 58 years old when he passed away. He had long pushed himself too hard for the love of his work and his followers, and in the summer of 1870 (June 9th, to be exact) he succumbed to the exhaustion and after experiencing a fatal stroke, was laid to rest. 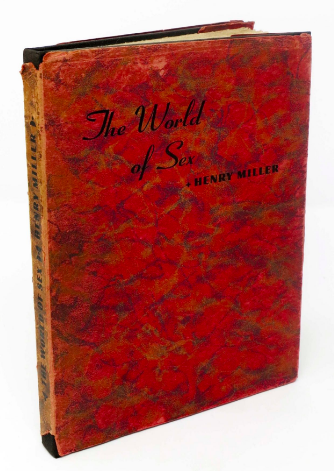 His work, however, has gone on to be remembered since, and the author has never been out of print. 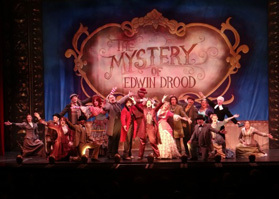 His final work, The Mystery of Edwin Drood, has long fascinated fans, as the murder mystery was unfinished at his death and Dickens never [formally] named the murderer. 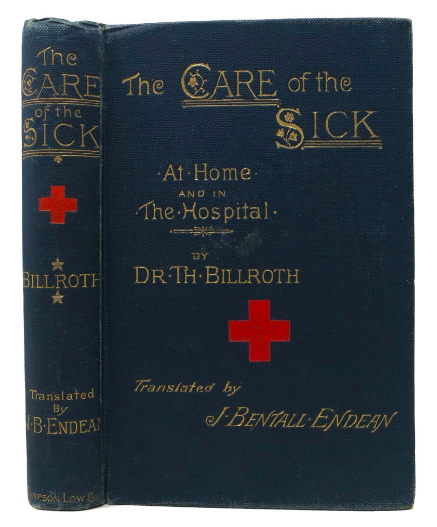 On this the 145th anniversary of the author’s death, we look at his last years and his final work – a novel that he persisted on writing, even while suspecting his end was near. Dickens, toward the end of his life. Dickens’ health began to decline when he was involved in the Staplehurst rail accident on June 9th 1865 (5 years to the day before his death, coincidentally). On his return from Paris with his young mistress Ellen Ternan and her mother, the train they were traveling on plunged off a cast iron bridge that was under repair. Luckily, the only 1st class carriage to remain on the track was that one in which Dickens was traveling. Until more aid arrived to tend to the victims, Dickens scrambled around the horrific scene offering brandy and a hat with water, looking after the dead, dying and wounded around him. The tragic incident cast a shadow on Dickens’ life – the horror and absolute panic he experienced led to sleepless nights and night terrors for the rest of his short life. Always the author, however, before leaving the scene of the accident he remembered his unfinished manuscript of Our Mutual Friend was on board and went back to retrieve it. Though the Staplehurst accident could be viewed as the “beginning of the end” for Dickens, what truly sapped the author’s strength and health was his insistence on the readings that he provided for his fans all over England and United States. These readings were not Dickens merely climbing up to a stage and reading his work aloud to audiences. The author planned his every look and every nuance, practiced scenes until he had them perfect, and left an impression with his audiences that they had just seen the characters they knew and loved on the stage before them. 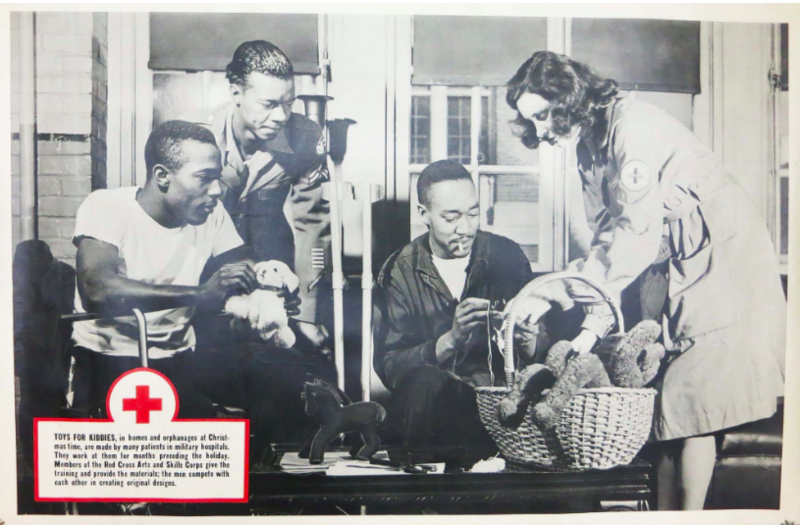 Quite the actor, Dickens had auditioned for a stage career as a young man, but when a cold prevented him from making the tryout, he turned toward a journalism career. In any event, the public readings took much more out of him than his audience realized, and Charles Dickens slowly succumbed to the stress he placed on himself. His farewell readings, lasting from the 6th of October 1868 to the 22nd of April, 1869, took the last of his energy. He began to experience fits of giddiness and paralysis and even collapsed while on tour in Lancashire; Doctors ordered the rest of his “performances” to be cancelled. Dickens retreated to his house, Gad’s Hill Place, in Kent, and under instructions to rest and recover, he began work on what was to be his final novel, The Mystery of Edwin Drood. Drood was set to be published in only twelve installments, a shorter publication decision than his usual 20 printed parts of a couple chapters each. Though Dickens supposedly mentioned that the murderer was $#&@%#^$ in the @&#^*#*$&@* with the $*#&@*#$& (wouldn’t want to “kill it” for the rest of you), that information is based on the statements of Dickens’ son and also of his close friend John Forster (not unimaginable divulges, but still not ever found to be public knowledge from the author himself). This open-ended story yielded an amazing treat to the public – the chance to finish a Dickens book themselves! Strangely, the first three attempts to complete Dickens’ original tale were written by Americans. 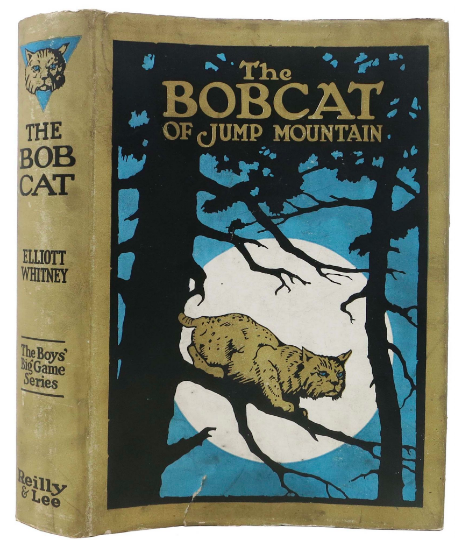 The first of them, published in 1870, was more of a farce than a continuation, with the author not even trying to continue Dickens’ style or even storyline (he even magically transported the characters to finish their mystery in the United States ). 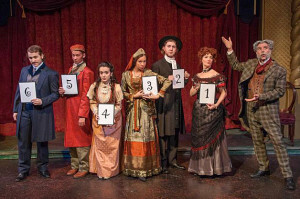 The second attempt was slightly more serious, a New York journalist named Henry Morford liked the story so much that he traveled to Rochester and published his ending serially from 1871 to 1872, and allowed the character of Edwin Drood to survive the murder attempt. The third effort, which to me seems to prove the gullibility of humans, was written by a Vermont printer named Thomas James. James claimed to have been a “ghost-writer” of sorts (pun intended)… by channeling Charles Dickens’ departed spirit. In 1914, London’s ‘Dickens Fellowship’ held a mock-trial for Drood’s uncle John Jasper (oh, whoops… did I ruin it for you?). A group of well-known writers made up the characters (G. K. Chesterton stood as the judge, George Bernard Shaw the foreman of the jury, etc.). The jury returned with a ruling of manslaughter, and in a great dramatic ending, Chesterton “ruled that the mystery of Edwin Drood was insoluble, and fined everyone, except himself, for contempt of court.” (Wikipedia). 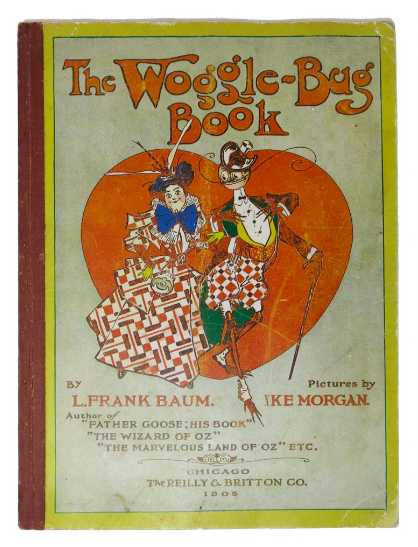 There have been four film adaptations of the book, a two-part television drama, a radio reading, and perhaps most interestingly, a musical comedy based on the book. As to this latter, Rupert Holmes wrote the script, music and lyrics to the musical with a twist – at the end of the play, the audience decides by vote which of the characters is the murderer. Not only that, but the audience also picks a romantic ending between two characters of their choice! Holmes wrote alternate endings for every possible voting outcome, even the most unlikely. The actors must memorize and rehearse each possible ending before performing in front of a live audience with an opinion! The production, now titled “Drood,” was first performed in 1985 and was quickly opened on Broadway for a total of 608 performances. It won five 1986 Tony awards, including the award for Best Musical. A theatre production of “Drood” when the audience is helping choose the ending themselves! Now I may not be one for assumptions, but in my personal and ridiculously humble opinion I believe that Dickens would be ecstatic about this new development in the reading of his novel. As I said earlier, the author was always a fan of the stage and wore himself ragged engaging his audiences in a way that no readings had ever done before. In a way, above the movies and the television spots and the proposed written endings for the novel, the musical arrangement of his last and mysterious work with the alternate endings and the audience’s participation seems to me like exactly what the author would have wanted. Engagement, imagination and creativity as a group – just what Dr. Dickens prescribed. In any event, Dickens clearly left behind a great impression on many future generations of readers and writers. His last work has sparked more investigation and speculation than any of his other works, due to the fact that it remained unfinished – an invitation for his admirers to become involved in a story of (partly) their own making. A more important notion to take away from his final days, however, is that the author loved his work and his readers so much that he didn’t stop working until the very end. 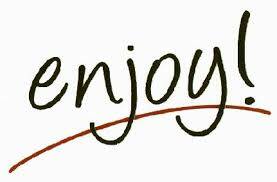 And just think, all for our enjoyment! Even now, 145 years to his dying day, enthusiasts and admirers continue to devote their academic and creative minds to understanding the man and his final, unfinished novel. 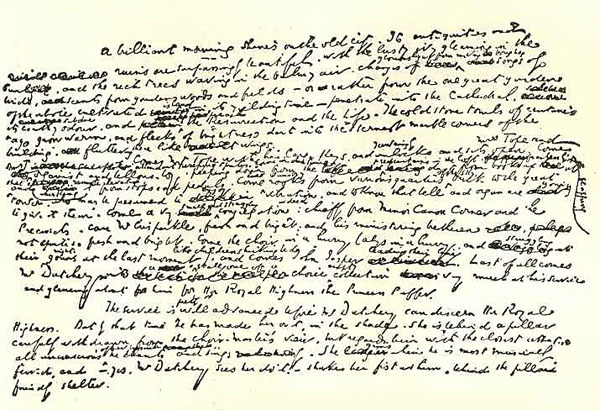 A page from Dickens’ unfinished manuscript of The Mystery of Edwin Drood. 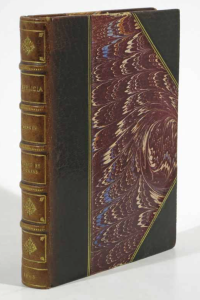 This entry was posted in 19th-Century Literature, Antiquarian Books, Charles Dickens, History, Uncategorized on June 9, 2015 by tavistock_books. No one reading a Dickens novel can deny the author’s enthusiasm for the theatrical. To see a young orphan used and abused by adults at every turn, to have to bear a young girl dying and her desolate grandfather withering away by her grave, or a miser being shown the error of his ways by ghosts… Dickens captured the hearts and attention of readers all over the world, and was, quite arguably, the most popular writer throughout the Victorian period. However, Dickens “the author” was not merely that – he was a man of many talents, much of which sat in the dramatic arts. A known producer of amateur theatrics, an actor himself, and performer until the day he died – Dickens captivated the world and unfortunately paid the ultimate price for living for his audiences. 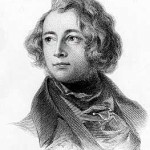 Charles John Huffam Dickens was born in Portsmouth, England in 1812 into what started out as an idyllic childhood that soon turned into a slightly unstable family situation. 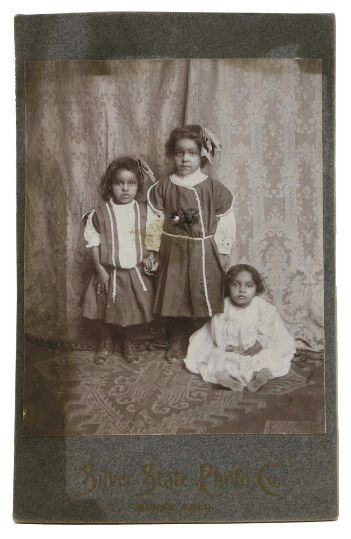 Because of his father’s debts, the author was forced to leave school at the age of 12 to work in a blacking warehouse where he earned six shillings a week pasting labels on pots of boot blacking. This formative time in Dickens’ childhood gave inspiration to many of the traumas portrayed in his works – most notably Dombey & Son and Old Curiosity Shop. Later on in life, Dickens would live with a fear of his literary talent failing him, and the constant looming possibility of ruin and poverty. One could argue that these fears, when present in the most popular celebrity of Victorian England, stemmed from this early age and his abbreviated childhood, as he was called upon at an early age to contribute to the family earnings. Dickens grew up with a love of performing, and in 1832 at the age of 20 Dickens gave serious thought to becoming an actor. He went so far as to arrange an audition for himself at the Lyceum Theatre through the help of the then-current stage manager. Unfortunately (for Dickens, rather than for us), he came down with a severe cold the day of the audition and was unable to attend. Dickens continued with a steadfast love of theater and attended as often as he could. Once Dickens achieved great success with his writings (beginning with Pickwick Papers and Oliver Twist and only becoming more intense and thrilling as installments of his novels went on), his almost super-human energy (the author reportedly walked about 12 miles every day) allowed him to humor his theatrical side and stage amateur performances with the help of family and friends. In 1852, after the author and his family moved to Tavistock House in London, Dickens converted the schoolroom into a miniature theater, “capable of holding an audience of ninety” (Fitzsimmons, The Charles Dickens Show p. 26). He and his children, along with their friends, put on performances every few weeks, and Dickens excelled in as many aspects of the theater as he did in literature. 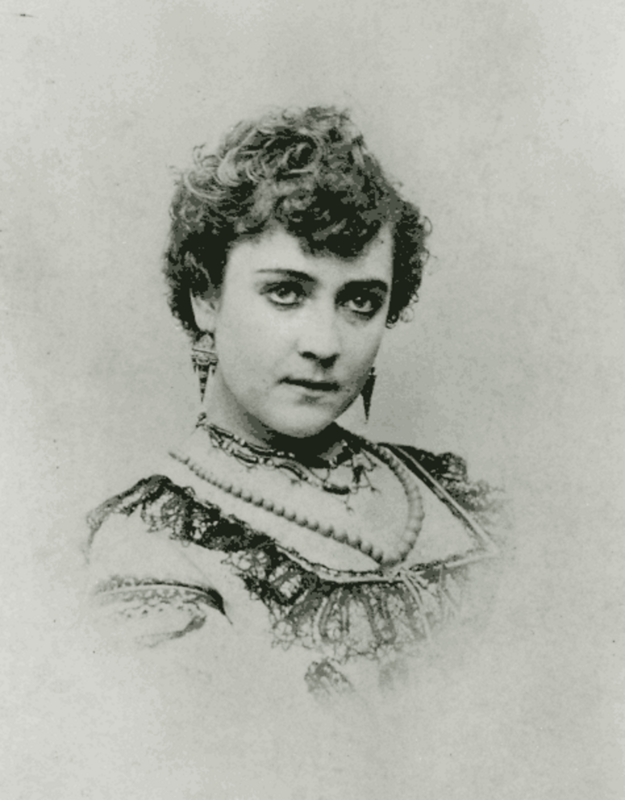 His longtime friendship with Wilkie Collins was often a great inspiration in these times, and Collins even wrote some plays specially to be performed by the Dickens household. 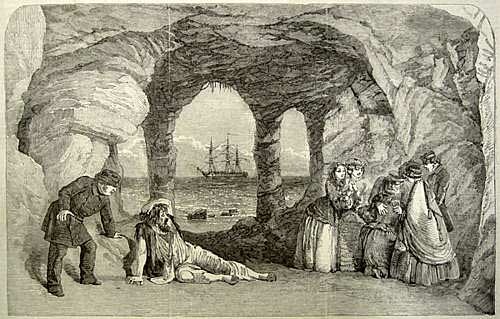 Engraving of the end scene in “The Frozen Deep”, Dickens as the wild Wardour lying on the frozen ground. (Illustrated London News, 17th Jan. 1857). One of the last amateur performances Dickens was to participate in was The Frozen Deep, a tragic theatrical written by Collins (with the significant editing and assistance of Dickens) in which Dickens played the role of Richard Wardour, as well as stage manager. Not only would this production prove to be significant in the way of theater (its success warranted a performance in front of Queen Victoria and Prince Albert), but it also was the momentous occasion that brought Dickens together with his later love, Ellen Ternan. Ellen, an 18-year-old young actress that was hired by Dickens, along with her mother and older sister Maria to play in The Frozen Deep, would soon become the scandal that the public blamed for the dissolution of Charles’ marriage to his wife, Catherine Hogarth. 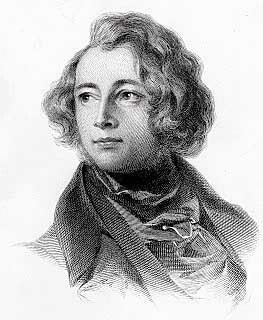 Though the home theatricals soon dissipated, as Dickens bought the country home “Gad’s Hill Place” in Kent and, though very much frowned upon, separated from his wife, Dickens was soon to begin the next phase in his thespian career with a series of Reading Tours that he would continue until a few months before his death. 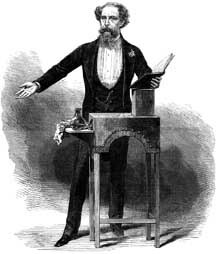 Dickens and his custom-made podium, specially designed by himself so as not to cut his body language off from his audience. “For the readings were an entertainment. They were not readings in the literal sense of the word. 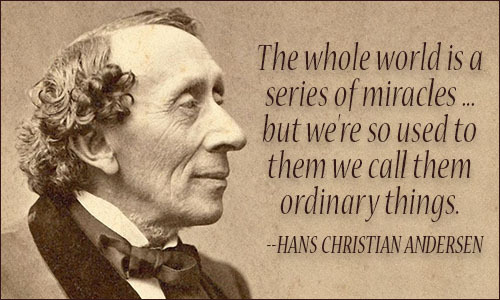 Dickens was a magnificent actor, with a wonderful talent for mimicry. He seemed able to alter not only his voice, his features and his carriage but also his stature. He disappeared and the audience saw, as the case might be, Fagin, Scrooge, Pickwick, Mrs. Gamp… or a host of others. Character after character appeared on the platform, living and breathing in the flesh” (Fitzsimmons p. 15). 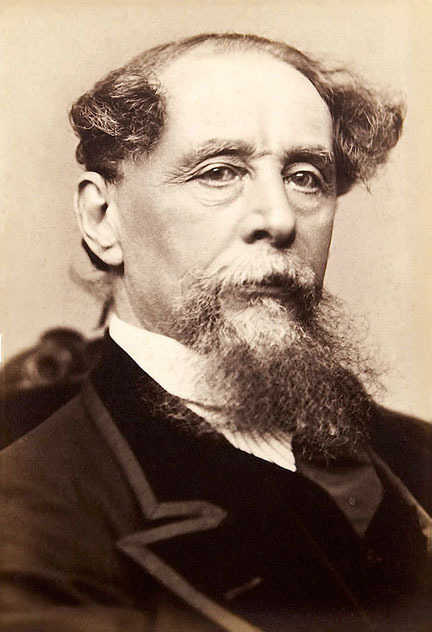 Dickens began reading professionally at a time when some say his literary powers were beginning to decline. Though he got some serious negative feedback from a few close friends about the idea (his longtime friend John Forster, for one, told Dickens that it was demeaning for an author to perform his own work), Dickens persisted. After reading in Edinburgh to an audience of over 2000, Dickens explained his euphoria at performing his work to Forster in a letter, “I must do something, or I shall wear my heart away. I can see no better thing to do that is half so hopeful in itself, or half so well suited to my restless state.” Fitzsimmons attributes much of Dickens’ wish to read (and possibly rightfully so) to its use as an outlet for his restlessness and miserable situation at home, and to the idea that he could make use of his theatrical talents and desire to be a thespian, all the while earning money to assuage his fear of living in poverty. It was during this intense scheduled period of readings that Dickens was involved in the Staplehurst rail crash, an incident that left the author in even poorer health from the strain on his nerves and his subsequent mistrust of the rail system. 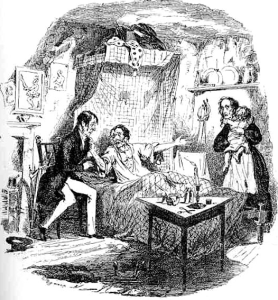 Directly after the accident, Dickens helped tend to the wounded and dying, and got back on the train to rescue his unfinished manuscript of Our Mutual Friend. 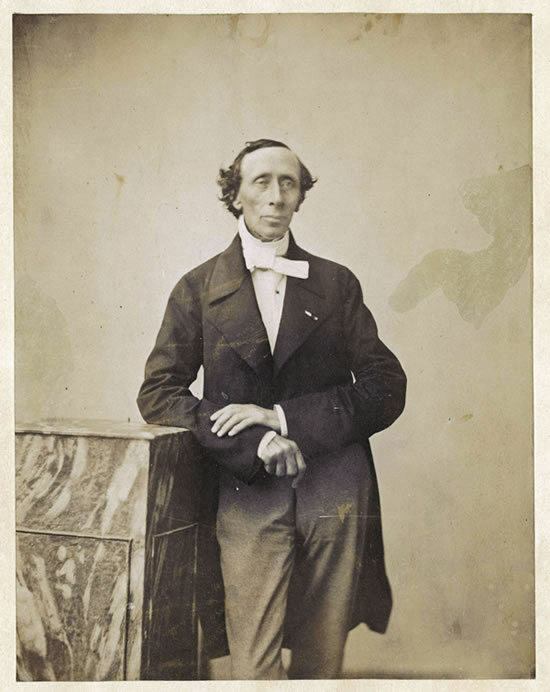 Little known to the public, Ellen Ternan and her mother were traveling with Dickens from Paris when the accident happened, and Dickens was able to avoid an appearance at the inquest in order to save Ternan the scandal such a fact would immediately produce. 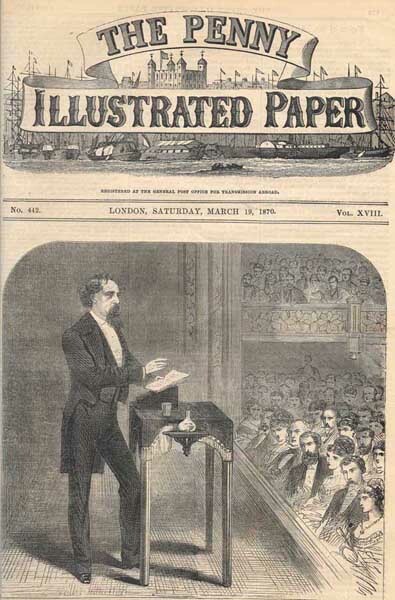 The front page of The Penny Illustrated Paper, dated March 19th, 1870 – just four days after Dickens’ final public reading. One of the continued strains on the author, with regard to his reading performances, was his portrayal of Nancy’s murder by Bill Sikes, taken from Oliver Twist. 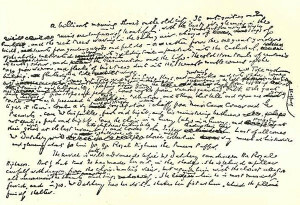 The absolute terror and melodrama of the scene took a great toll on Dickens, so much so that Dolby wrote, “That the frequency with which he persisted in giving this Reading was affecting him seriously, nobody could judge better than myself, living and travelling with him as I was.” Disregarding this constant strain on his nerves and his extreme bouts of depression and illness, Dickens persisted. If anything, this obsession with portraying the murder scene with voice as well as action just perfectly for his audiences shows the energetic state of his mind, despite a failing body and spirit. 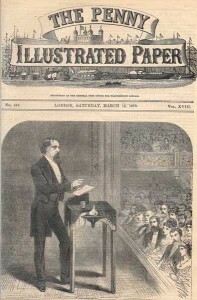 Ignoring his declining health and personal turmoil, Dickens continued to read publicly until just three months before he suffered a fatal stroke, with his last public reading given on 15 March 1870. Dickens was to conduct reading tours for over a decade – and not any single performance to less than a full house. There is no doubt in our minds that should this literary icon have chosen the stage rather than the pen, he would have found similar great success and admiration for his work. Dickens will always be remembered for his literary genius – the man who created universal and beloved characters and stories, the man who became the face of English literature. Additionally, Dickens should also be remembered for his all-around charm and allure, for his ability to captivate audiences with more than just words, but with his entire being. 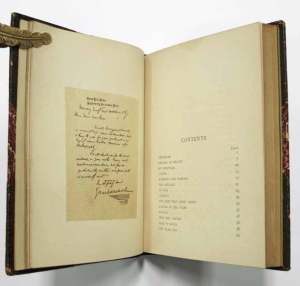 Tavistock Books maintains a specialty in the works of Charles Dickens – first editions of his work, Dickens in parts, his plays, his biographical works, and even letters, pictures, and items related to the author and his life. Hence the name of our shop after the London home Dickens turned into an amateur theater for his friends and family. 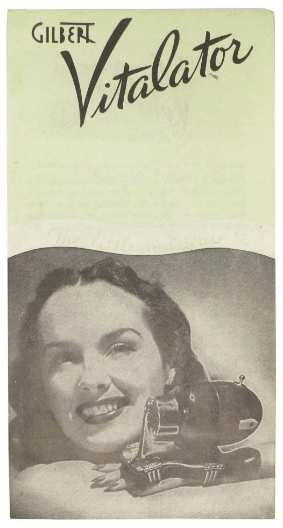 Look out next week for our monthly list of “Select Acquisitions”, also titled “Theatrically Speaking” – a list of crossovers between literature and the performing arts. Email Margueritte at msp@tavbooks.com to be added to our Mailing List! This entry was posted in 19th-Century Literature, Charles Dickens, History, Uncategorized on October 18, 2014 by tavistock_books.